Funding one’s wedding can be a huge expense for young couples nowadays, with many having to save for years before they can tie the knot. 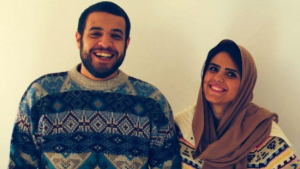 Abd El-Hakim Zughbor and his fiancée, Falastin Al-Tanani, have additional challenges to face. Living in the Gaza Strip, part of which has been blockaded by Israel and Egypt, and governed Hamas, there are many social traditions to adhere to in their society. The two met online and shared their love of poetry and blog writing, and met in person a few months later while doing voluntary work with the youth in Gaza. They would like to raise essentially a total of $9,000 to cover all the costs. Expenses to be covered include a wedding hall, lunch for a few hundred guests, the wedding gown, hair and makeup, photography and transportation. Zughbor and Al-Tanani hope to overcome their difficulties and get married as they always dreamed of doing. It has been less than a month now, and so far they have managed to raise $3,114. Many of these donations have been anonymous. 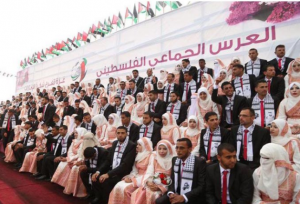 Increasing numbers of young Gazans have raised money this way for various projects or to study abroad, but this is the first time a couple in Gaza is attempting to crowdfund a wedding. Zughbor and Al-Tanani are both well-qualified, he is an architect, and she is a telecommunication engineer. Due to the situation in Gaza, neither can find work in their fields. Zughbor is currently employed as a graphic designer, although he doesn’t earn enough to cover the wedding costs. 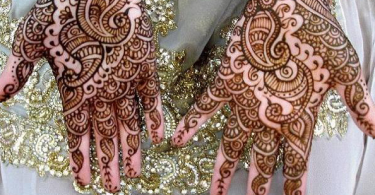 The traditions within their community demand that the groom covers all the wedding expenses. Charities have now become affiliated with political factions and have made it possible to organize mass weddings for people in similar situations. Despite having the mass wedding, all newlyweds are expected to hold a reception afterward, so as not to offend any relatives. There is not even the option of going to a registry office or even eloping. Furthermore, living together is forbidden by the strict Islamic principles which they are expected to live by, which are made even more difficult by the presence of Hamas in their region. After facing so much criticism, they eventually decided to get engaged. Zughbor and Al-Tanani don’t have the option to leave Gaza and are not wanting to seek asylum elsewhere. Despite the challenges which they face with living in Gaza, they are still committed to remaining there and trying to live a happy life together.